If you started your project in Smartsheet but need to manage more complex schedules, resource sharing, and tracking, you’re probably ready to move your data into Project Plan 365. You can do this by using the Import from Smartsheet functionality. The first step you should do is make sure you exported your work from Smartsheet into Excel or XML format. After this you can follow these easy steps to import your data into Project Plan 365. In the Open dialog which appears you can either select Excel Workbook (.xlsx) or XML Format (.xml) depending on the format you have exported from Smartsheet. 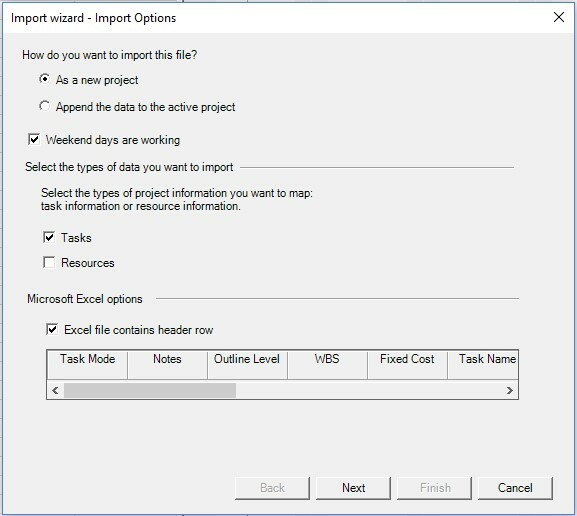 If you chose to import an Excel file then an import wizard will appear. This wizard will guide you through the steps you need to make in order to import your data. If you chose to import a XML file then the file will be automatically opened in Project Plan 365 so you can start to edit your project right away. 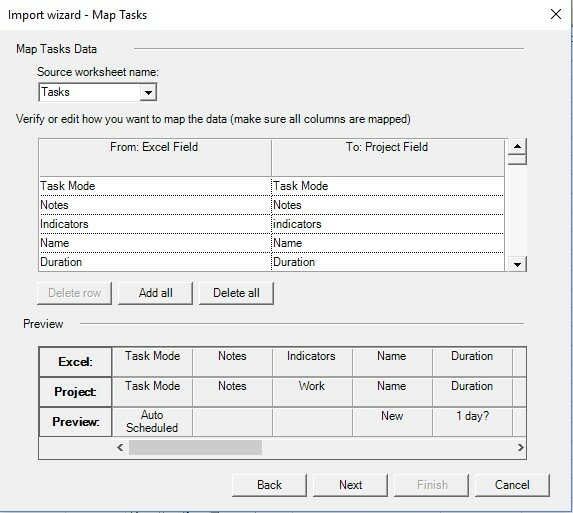 This wizard allows you to make some project related settings before mapping the Smartsheet fields to the ones in Project Plan and obtaining the final project. If you select “Append the data to the active project” the imported data will be placed at the end of the currently opened file. Select if you want Saturday and Sunday to be working days (Weekend days are working option). After making these settings you can advance to the next step by pressing the Next button. After you are finished with the mapping of the fields you can press Finish to start the import and create your project. During the import process data might have been imported to columns that are not being shown on the currently viewed table. After the import is completed you can insert imported columns into any table to view the imported data. You can also export data from Project Plan 365 to Excel for data analysis, visual reporting and viewing the project you created in tools like Smartsheet.